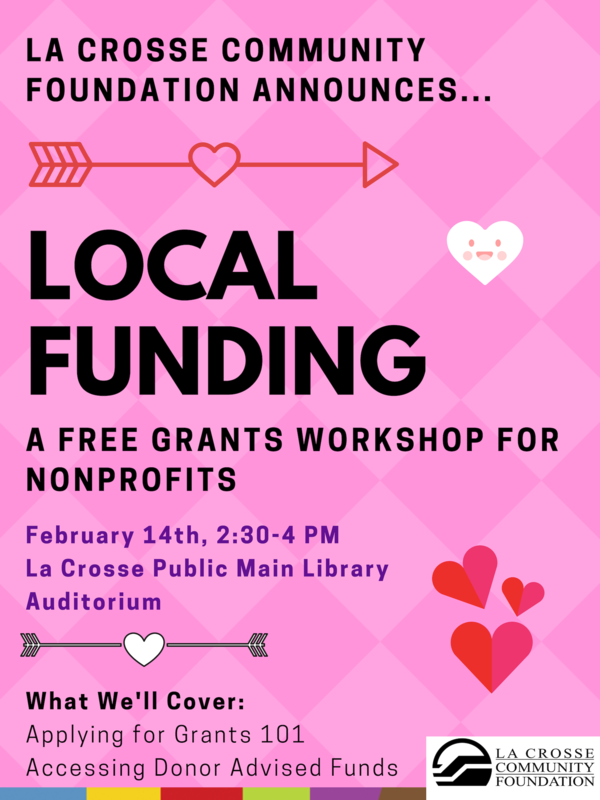 Join Jamie and Katie from the La Crosse Community Foundation as they present a free workshop for volunteers and nonprofit organizations on how to access local funding. They'll cover the process to apply for LCF grants, and ways to access donor advised funds. This workshop is the first of a new initiative to bring free learning opportunities to local nonprofits.